Ha Ji Won and Ha Jung Woo were recently selected as the best role models by prospective actors. C.A.S.T. (www.casthq.co.kr), the acting school from iHQ, did a survey starting on May 14 through 20 asking 1,019 prospective actors, “Who is your role model among Korean actors?” Ha Jung Woo and Ha Ji Won ranked first in the male and female category, respectively, by receiving 521 and 536 votes. Jang Hyuk and Gong Hyo Jin ranked second receiving 362 and 285 votes and Park Hae Il and Son Ye Jin ranked third receiving 124 and 182 votes. May 28,2012- Our Amazing Yeoja Actress Ha Ji Won was spotted in Incheon Airport yesterday before she departed to Mexico for ‘Harper’s Bazzar Korea’ Magazine photo shoot. She look so stunning, gorgeous and feminine! Wow! Enjoy your stay in Mexico Uri Ha Ji Won. Good luck and God bless.. Aja! Aja! Fighting! Actress Ha Ji Won has recently appeared as Kim Hang Ah, a special forces instructor and ‘The Flower of Unification’ as dubbed by the viewers, on the MBC drama ‘The King 2hearts’. Through the drama, Ha Ji Won has successfully reaffirmed the fact that she is an actress that knows no limits. Ha Ji Won’s acting has always been praised for the way she becomes one with the characters that she played in each and every one of the projects she has worked on. In ‘The King 2hearts’, Ha Ji Won goes from absolute ganji to extreme cute freely in no time drawing the viewers. (ganji = slang for cool, fashionable) At the jongbangyeon (wrap party, after party), Lee Jae Gyu PD of ‘The King 2hearts’ said, “Ha Ji Won is an actress that turns imagination into reality”, highly complimenting the actress. Ha Ji Won has played the role of the South Korean table tennis player Hyun Jung Hwa in the movie ‘Korea’ which deals with the subject matter of the first ever South Korean and North Korean unified table tennis team. Ha Ji Won also played the role of North Korean military instructor Kim Hang Ah in the drama ‘The King 2hearts’ which deals with the conflicts between South Korea and North Korea. Thanks to the actress’s great turn through both of the characters, the viewers have nicknamed her ‘The Flower of Unification’. Ha Ji Won said, “Hang Ah is a woman who is gentle in her heart, but she is someone who is wiser than anyone on what is right and what is wrong. The fans have called Hang Ah ‘The Flower of Unification’ and to me also, she is someone precious that I will remember as ‘The Flower of Unification’”, expression much affection toward the character. When May comes, my family’s special love comes to my mind. My parents, who were always worried about me rather than their concerns, be on my side in anything with a great faith on me. In the meantime, I didn’t have time to have conversations with my parents with excuses that I was busy, but I was given the time when I am here to make up the time with my parents thankfully. 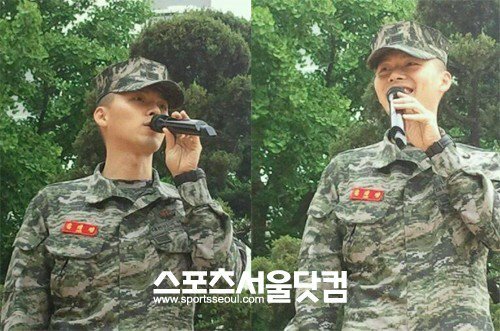 It’s been a long time to come back to normal son to talk about daily life and I felt daily happiness that missed when I was an actor Hyun Bin. I think that that’s family you will miss most after you leave. I wish you have May that you love without regret within your family. May 24,2012- A Beautiful Thursday!!! 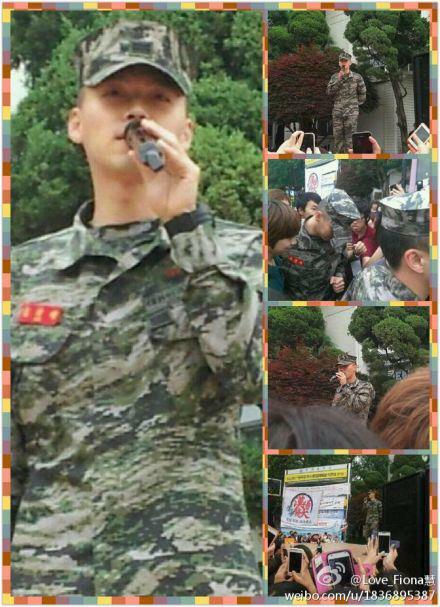 Our Amazing Namja Hyun Bin was back again to campaign to all male students to apply their military service in the MARINES. 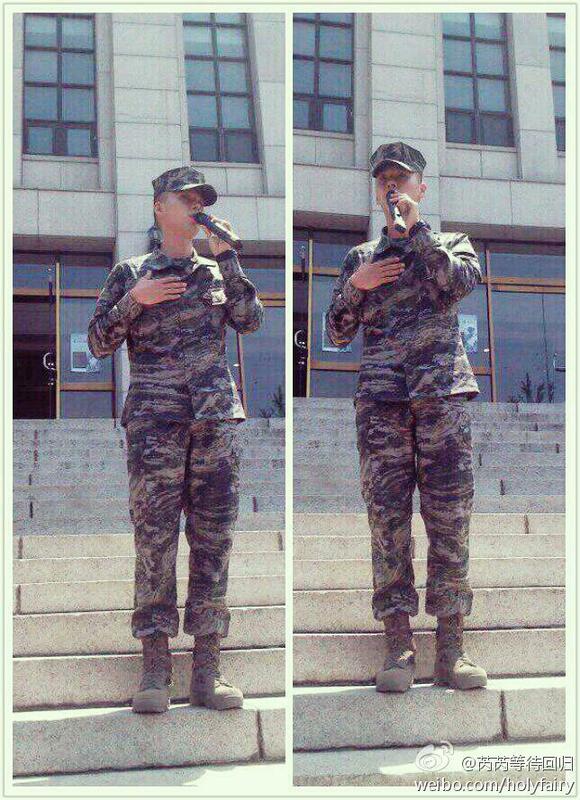 It is so glad to see him more and more.. Hwaiting Hyun Binnie! Sweet smile as always.. Salute! 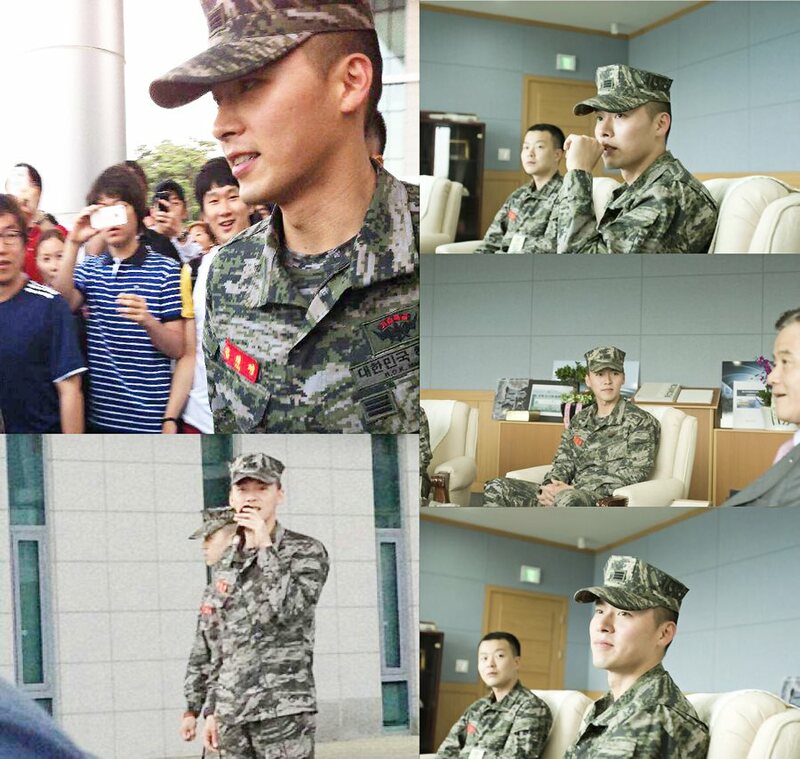 Our Amazing Namja Lance Corporal Kim Tae Pyung/Hyun Bin visited two universities last May 22, 2012 as part of his PR Duty in ROK Marines.. Joongang University is one of it and this is the school wherein he graduated from and he also visited Yonsei University. Great Crowd indeed!!!! 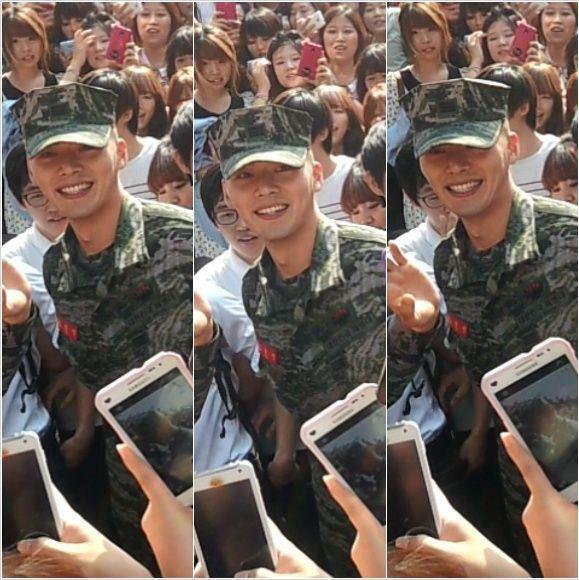 Keep up the good work Our Hyun Bin.. We salute to you..Be healthy as always and Be happy, We are waiting for your comeback soon!!!!!! Aja!Aja! 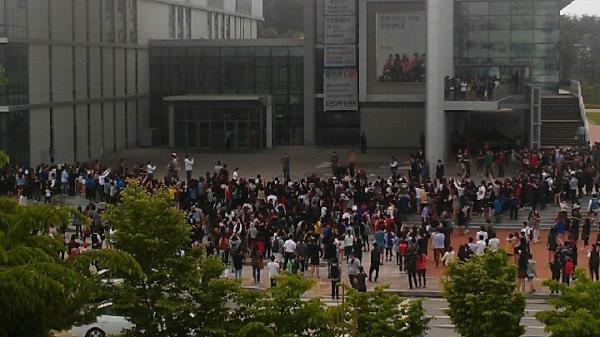 Hwaiting and Fighting!! 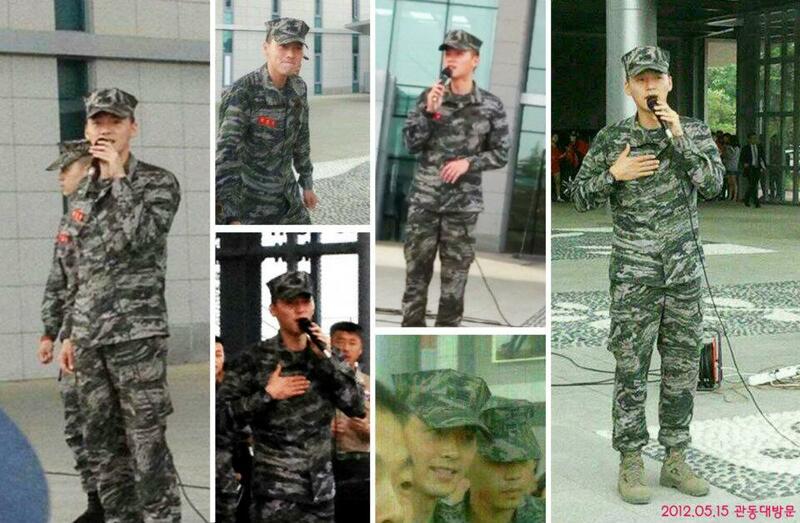 More appearances please Our Amazing Soldier. Ha Jung-woo and Ha Ji-won have been voted the most popular actor and actress in Korea in an email poll by the Chosun Ilbo and the nation’s largest film ticketing site MaxMovie. Some 25,784 people voted from April 18 to May 5. The two drew 10.1 and 13.7 percent of the votes respectively. But Song Kang-ho and Jeon Do-yeon were chosen as the best — as opposed to most popular — actor and actress, with 18 and 23.3 percent. Since the poll targeted online users of MaxMovie who had been to the cinema at least once last year, it probably reflects moviegoers’ preferences more accurately than other surveys. In contrast, Won Bin and Kang Dong-won, who ranked first and third respectively last year, fell to fifth and ninth place since they have not appeared in any films released this year. Jang Dong-gun and Lee Byung-hun did not make the list although they took the No. 6 and 10 spots last year. Nine of the 10 most popular actors were also on the list of the most skilled actors, with the exception of Kang Dong-won in the former and Sol Kyung-gu in the latter. But among actresses, only six found their names on both of the lists. Moon So-ri (fifth with 6.1 percent), Yoon Yeo-jeong (sixth with 3.8 percent), Kim Hye-ja (ninth with 2.5 percent) and Kim Yun-jin (10th with 2.5 percent) were voted as having good acting skills but not on the popularity list, suggesting that the popularity of actresses has less correlation with their acting skills than their male counterparts. Among directors, Bong Joon-ho was picked as the best with 19.8 percent. Im Kwon-taek slipped from the top last year to third place with 9.22 percent. Kang Woo-suk and Kang Je-gyu, star directors in the 1990s and the early 2000s, ranked in the top 10 but were outperformed by Bong and Park Chan-wook (second place with 9.68 percent), who are becoming well known overseas. Kang Je-gyu saw his ranking fall from third in 2011 to sixth (3.84 percent) this year after his film “My Way” tanked. Kang Woo-suk managed to hold on to fourth place but he garnered a mere 5.72 percent, down from last year’s 14.1 percent. This year’s top 10 list has the same names on it as last year’s, with the exception of Byun Young-joo (eighth with 3.50 percent), but the order changed. “Once established, directors’ recognition appears to last longer than actors,” MaxMovie analyzed. Ha Ji Won’s name (in blue) listed as the most popular and also on the best actress list as well. When asked about their favorite ways of watching films, 82.5 percent said going to movie theaters, up from last year’s 66.1 percent. Next came downloading movies on the Internet at 8.1 percent, down from 27.7 percent last year. A glut of 3D movies seems to attract people to cinemas. An English author once said “A diplomat these days is nothing, but a head waiter who is allowed to sit down occasionally.” Well, that is surely how our As One‘s famous casts shared their celebration of the- diplomatically-correct North & South Korea’s reunification themed movie, by being a waiter and waitress in a posh cafe in Seoul. As their movie has surpassed the 1,2 million admissions in its first week, the casts of As One, including our amazing yeoja, Ha Ji Won, with the awesome Bae Doo Na and the Korea Team showed up as cute waiter and waitress during the charity event in ‘Tera Spora ING’ pub. Congratulations, KOREA! source : Newsen.com, Soompi Forum. To mark their film “Korea” exceeding one million views, actresses Bae Doo-na and Ha Ji-won will don aprons as waitresses to treat lucky fans to a night of feasting at a pub in Sinsa-dong, southern Seoul . The event is set to take place tonight, and participants were selected from applicants who registered through the movie’s official Web site and Me2Day site. According to Korean Film Council, the film, which opened on May 3, was viewed by some 1.2 million viewers in just 10 days since its release. Other cast members and director Moon Hyun-sung will also attend the event. The proceeds from the night’s sale of food and beverages will benefit charities that help marginalized youth and defectors from North Korea. The film is based on a true story about a friendship that emerged between table tennis players from the North and the South back in 1991 when the two Koreas joined forces to compete as one nation at the World Table Tennis Championships, subsequently winning a gold medal in the process. 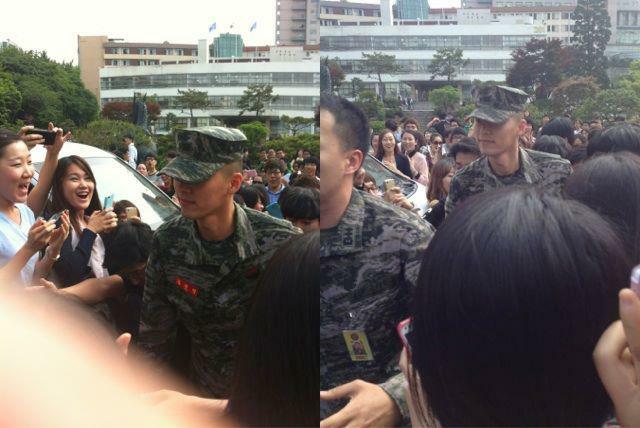 May 15, 2012- Our Amazing Namja Kim Tae Pyung/ Hyun Bin visited Kwandong University for his PR Duty at ROK Marines. It’s nice to see him again. 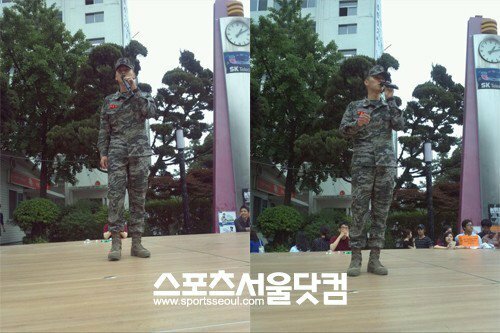 He is a good role model for all Korean Men who will serve soon in the Military. 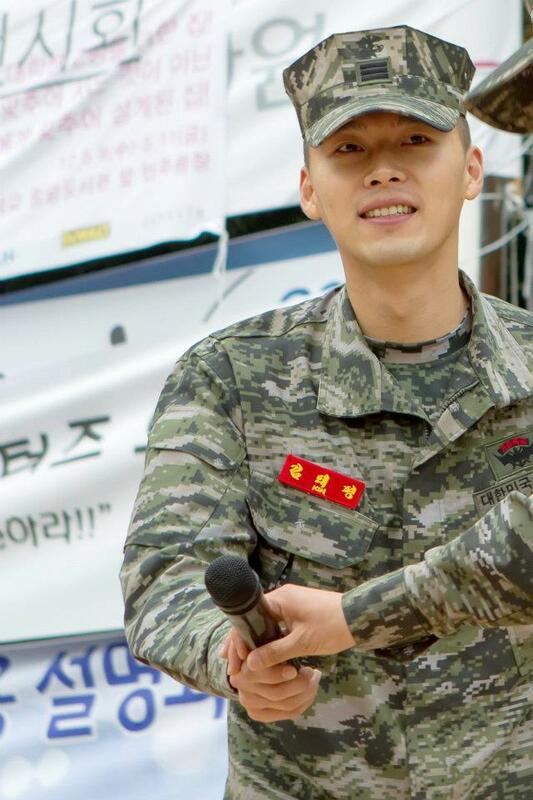 Keep up the Good Work Hyun Bin! Be healthy! Be happy! God bless you and your amazing yeoja Ha Ji Won.